The County Manager for Macon-Bibb County serves at the pleasure of the Mayor and acts as the Director of the Department of the Administration. The County Manager advises the Mayor on the performance of designated duties; coordinates the activities of the departments; carries out the written directives of the Mayor; makes periodic reports to the Mayor and Commissioners; and any other duties as assigned. The County Manager’s Office is structured in a way to align services and projects to the Mission, Vision, and Goals as determined by the Commission. 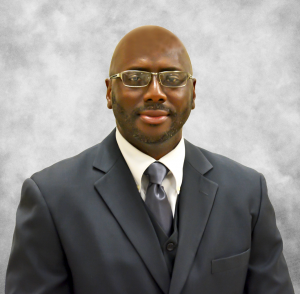 Dr. Keith Moffett has been selected to serve as County Manager for Macon-Bibb County. He most recently served as County Administrator for Butts County for two years, where he was served as the county’s Chief Administrative Officer and Chief of Staff to the Board. Dr. Moffett was responsible for the overall management and administration of the county government. He also provided administrative and managerial support expertise to the Board of Commissioners, oversaw special projects, helped develop policy, and conducted research. Prior to Butts County, Dr. Moffett served as Director of Macon-Bibb County’s E-911 Center, and under his leadership, it was named the 9-1-1 Center of the Year by the Georgia Association of Public Safety Communication Officers (APCO) and the Georgia Chapter of the National Emergency Number Association (NENA). In the former City of Macon government, Dr. Moffett assisted the Chief Administrative Officer with the management of 17 departments in areas such as budgets, personnel, and work plans. He helped create, implement, and oversee the former City’s Five by Five program, acted as liaison between the Mayor’s Office and 15-member City Council, and worked with public and private entities to contribute to the Mayor’s B.E.S.T. initiative. Before joining the City of Macon, Dr. Moffett worked for the Georgia Department of Economic Development as a Regional Project Manager for the Middle Georgia area, developing, improving, and promoting community economic development products, as well as coordinated local, state, and federal resources for entrepreneurs and small businesses. He also spent eight years in the United States Navy aboard two Trident Submarines as an Electronic Technician. Dr. Moffett is a recognized Distinguished Alumnus of Macon State College School of Business, and earned his Ph.D. in Educational Leadership at Mercer University’s Tift College of Education, his MBA from Wesleyan College, his B. S. in Business and Information Technology from Macon State College, and an A. S. in Electronic Technology and an A. S. in Nuclear Science Technology from Georgia Military College. He is an Alumnus of Northeast High School, is a graduate of the 2003 Leadership Macon and 2006 Leadership Georgia classes, and was selected as a Top 40 under 40 by Georgia Trend in 2006, a Top 5 Under 40 by Macon Magazine, and a Top 40 Under 40 by the Georgia Informer in 2008. Dr. Moffett is a proud member of Kappa Alpha Psi Fraternity, Inc., and is very active in the community through a variety of organizations. Julie Moore has almost 20 years professional experience and serves as Assistant to the County Manager for Budget & Strategic Planning. In this role, Moore is responsible for Macon-Bibb County’s strategic plan, annual budget development process, entitlement and project-based grants, and the strategic, capital, and operational planning process. She has developed four budgets in the first two years of the consolidated government, and has led the process which reduced the budget by 18% from the combined budgets of the two former governments. Prior to this position with Macon-Bibb, Moore served the City of Macon first as Grants Manager and then as Acting Assistant Chief Administrative Officer. Before working with city government, she was Executive Director of Education First for 10 years, a Regional Sales Representative with Edulink Systems, and a Classroom Teacher with the Griffin-Spalding County School System. 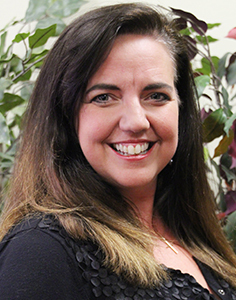 Moore is currently pursuing her National Grants Management Certification and earned her Bachelor of Arts in Liberal Studies from Chapman University. A 2005 Graduate of Leadership Macon, she was on the Georgia Planning Team for Knowledge Works and National Commission on Teaching and the Future and was in the inaugural class of the Georgia Partnership for Excellence in Education’s Education Policy Fellowship Program. With more than 15 years public relations and communications experience, twelve of which have been at the executive level, Chris Floore serves Macon-Bibb County as Assistant to the County Manager for Public Affairs. In this role, he manages a team that is strengthening direct and two-way communication between the government and the public. The team consists of strategic communication, public relations, media relations, multimedia services, customer service, graphic design, marketing, and crisis communication. He was named Communicator of the year by the City-County Communications and Marketing Association (3CMA) in 2015, and as a finalist for the National Association of Government Communicator’s Communicator of the Year Award in 2016 and 2017. He has won multiple state and national awards for his work, and has been published in PRNews’ Crisis Management Guidebook, Vol. 6. 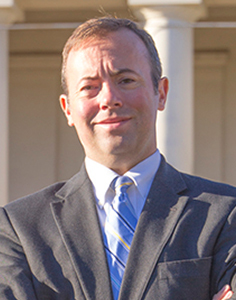 He is trains governments around the state for the University of Georgia’s Carl Vinson Institute of Government (focusing on media, strategic communication, and social media), and has presented at the national level at several communication conferences. Prior to Macon-Bibb County, Floore served as the Director of Public Affairs for the City of Macon and Director of Public Relations and Public Relations Specialist for the Bibb County School District, managing media relations, communication planning, crisis response, and executive communications. During that time, he helped develop and implement a crisis communication plan that has been recognized statewide and was the basis for an article published in PRNews’ Crisis Management Guidebook, Vol. 6. He earned his Master of Arts in Journalism and Mass Communication (Public Relations from Kent State University and Bachelor of Arts in Broadcast Journalism from the University of South Carolina. He is a 2010 Graduate of Leadership Macon and a member of the 2013 Class of Georgia Forward’s Young Gamechangers program, and he is frequently called upon for communication support and consultation for local nonprofits and organizations. Previously, he has served as the Co-Chair of the College Hill Corridor Commission, as a member of the American Cancer Society South Atlantic Division’s Leadership Council, as a member of the American Red Cross Central Georgia Board of Directors. About the Macon-Bibb Youth Commission The 2016-2017 school year will be the fourth year Macon-Bibb County has sponsored the Macon-Bibb Youth Commission, which is part of the Association County Commissioners of Georgia’s (ACCG) Georgia Civic Awareness Program for Students (GCAPS). (The former Bibb County participated for the two years prior to consolidation.) More than 30 students participated in the program during the 2015-2016 school year, and videos and news about their trips can be found in the links below. Students in the Youth Commission will see how government works, what’s changing through consolidation, and how they can be involved with and improve the community now and in the future. Throughout the course of the year, students will take part in team-building exercises, attend Commission meetings, tour county facilities, visit the State Capitol, attend the ACCG Conference in Savannah, and interact with local and state leaders.